Stock S&S replacement paper gasket kit. 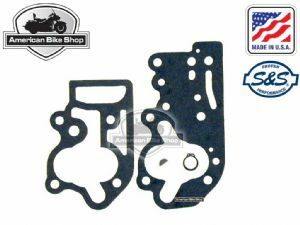 Used in combination with S&S standard cast or billet oil pumps only. Complete with retaining ring and woodruff key. Do not use with OEM pumps.